There is nothing more heart-warming than the vision of a beaming smile on Christmas morning. Watching the kids opening presents with a huge gasp and look of surprise is the highlight of any parent’s day! However, with so many toys on the market it is tough to decide which ones to choose. Not to worry, John Lewis has you covered with this run down of children’s toys, ensuring you are eternally popular… well up until the new year at least! Spin to win with the i-Top fidget spin-to-win masterpiece game! This electronic toy keeps track of scores by automatically calculating rotations. This means you can focus on challenging friends in the three game modes featured. Alternatively, you are able to test your own skills too. Practice certainly makes perfect with this model as there is a collection of unlockable modes you can unveil with a range of super-cool, super-secret animations! 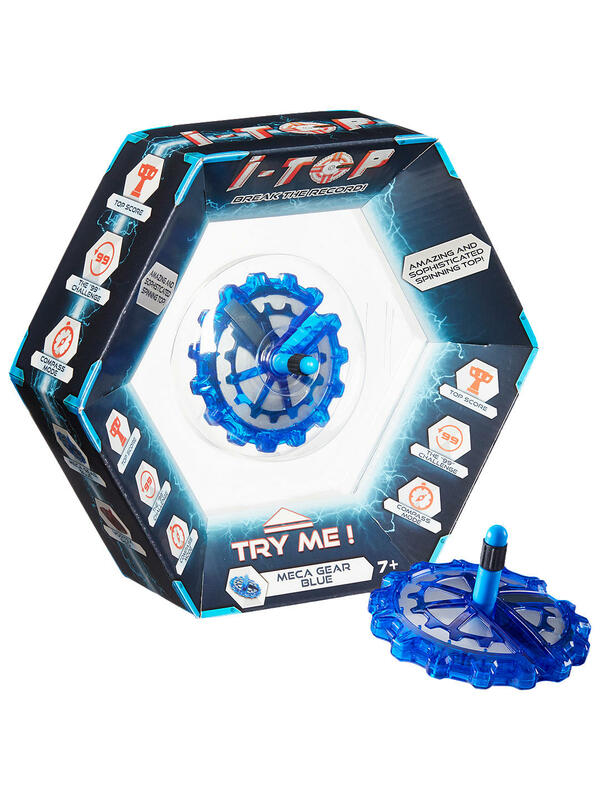 Hours of fun can be had with this energetic spinning top game that comes in three fun colours. Choose between Infinite Purple, Vortex Green or Mega Gear Blue. 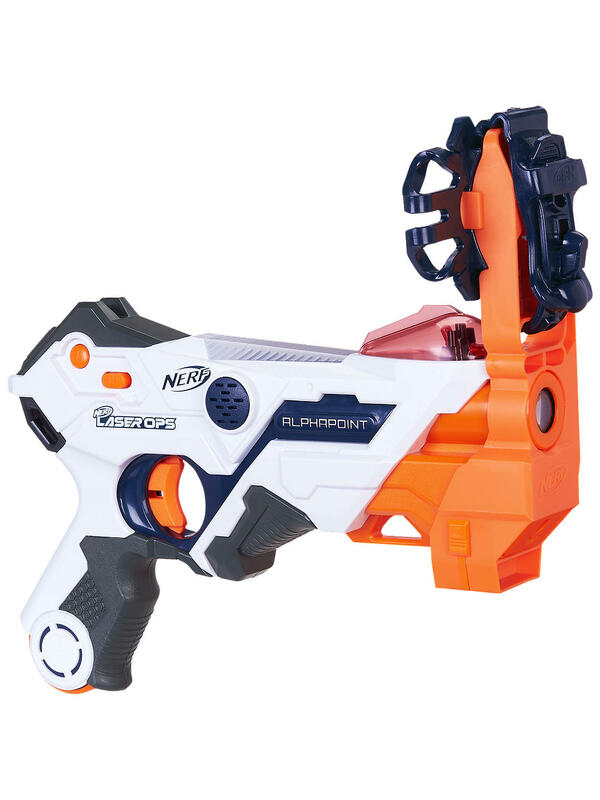 This futuristic Nerf gun packs an almighty punch, with never ending specifications for your little soldier to enjoy. The huge draw with this one is its compatibility with smart phones and tablets! The special app used with this device comes with a variety of functions. Used to track performance, earn power-ups, gain in-battle intel and can customise the blaster to boot! All of these phenomenal qualities mean it’s well worth its price! Challenge yourself or compete with friends using this gizmo, which has indoor and outdoor modes. Unlimited virtual ammo is a plus too, meaning there is no need to keep replacing components. 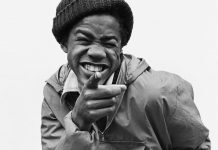 The days of treading on stray bullets are over! 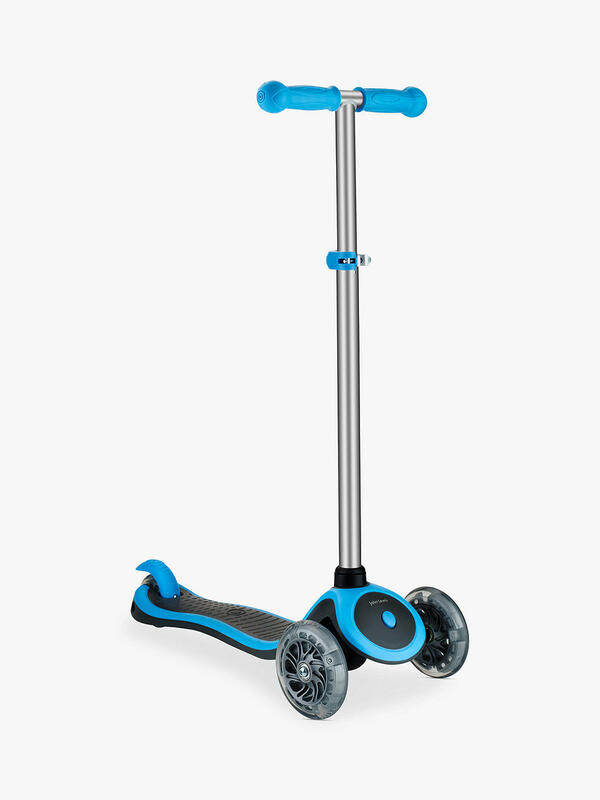 Designed for ages 3 and above, this colourful scooter boasts a variety of features to ensure the perfect introduction to scooting for little ones who are eager to get on the move! An adjustable T-Bar, handlebar grips, a non-slip deck and a long rear brake mean it is a safe way to play. Multi-coloured lights in-sync with movement are also a cool, yet practical feature. Again, available in several colours. A great addition to your child’s toy collection and will feature in their fond memories for years to come. 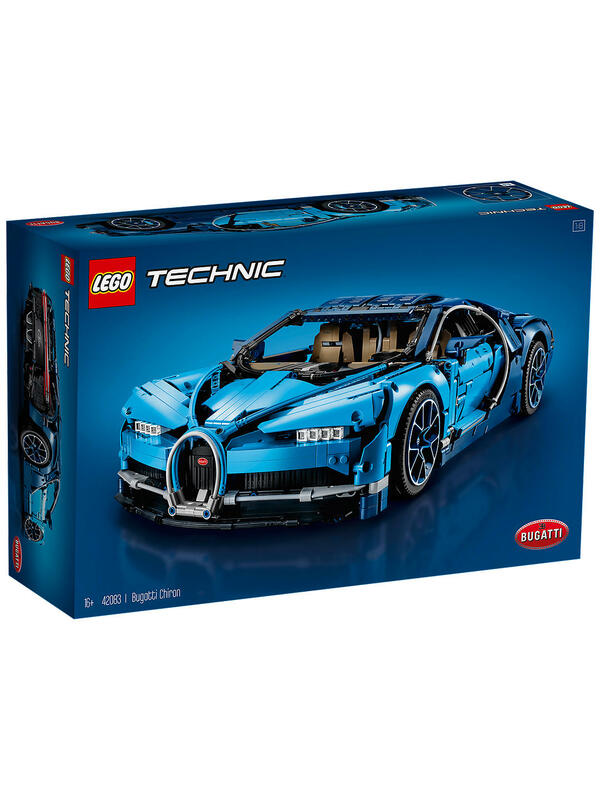 LEGO Technic 42083 Bugatti Chiron Supercar – (Exclusive to John Lewis & Partners). For the LEGO fanatic, this model is a must-have for the ultimate collection. Developed in partnership with Bugatti Automobiles, this challenging build captures the sport car’s many impressive qualities and comes in the brand’s signature blue colour scheme. Not only will this be a fascinating model to make, but it will also look great on display once complete! This will be a prized possession long after it’s built. An investment piece indeed. Hasbro FurReal Ricky The Trick Lovin’ Pup. This is the next best thing if your child has been ‘hounding’ you for a pet this Christmas! Remember they aren’t just for the holidays, so should your tiny treasure not be entirely ready for such a big commitment, train them well with Ricky! 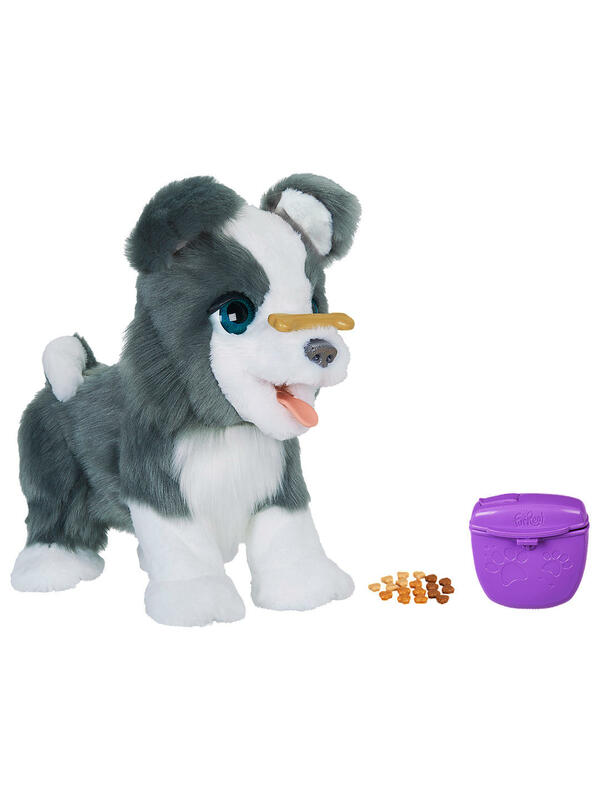 The battery-operated pup performs mega-cool tricks and responds to over a hundred commands. Impressive! This adorable dog is bursting with affection, so expect lots of licks and excitable sounds! You can even reward the little fellow with his favourite treats. This is a must for animal-loving kids! 6. John Lewis & Partners Waitrose Supermarket. This Waitrose Supermarket is not only apt for captivating play, but is incredibly educational too! Develop memory skills by playing with products. In addition, get your bundle of joy refining their maths knowledge too. Amazing toy foods such as, cereals, croissants and juice are included. The set also comes with a cool pretend credit card too! Wowsers! No queues, purely pretend transactions and produce that never goes off… we’re sure a few adults might like this too! 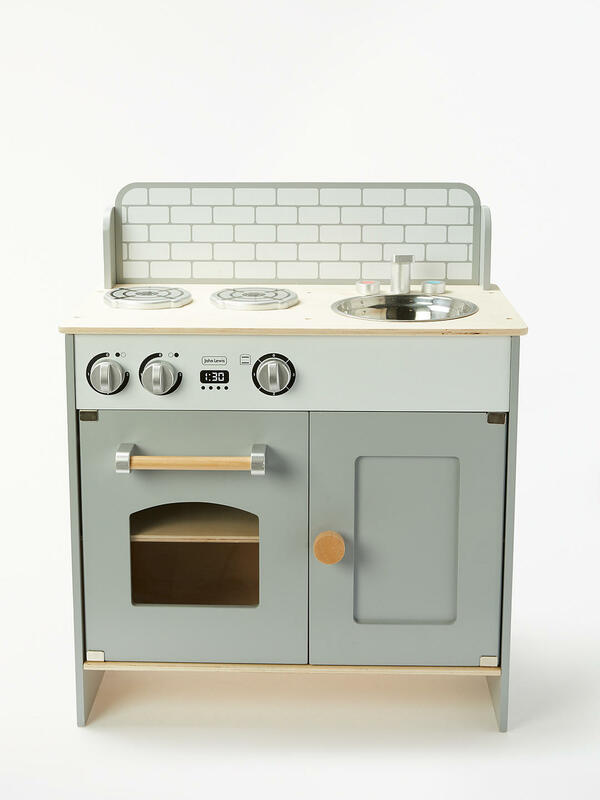 John Lewis & Partners Mini Play Kitchen. 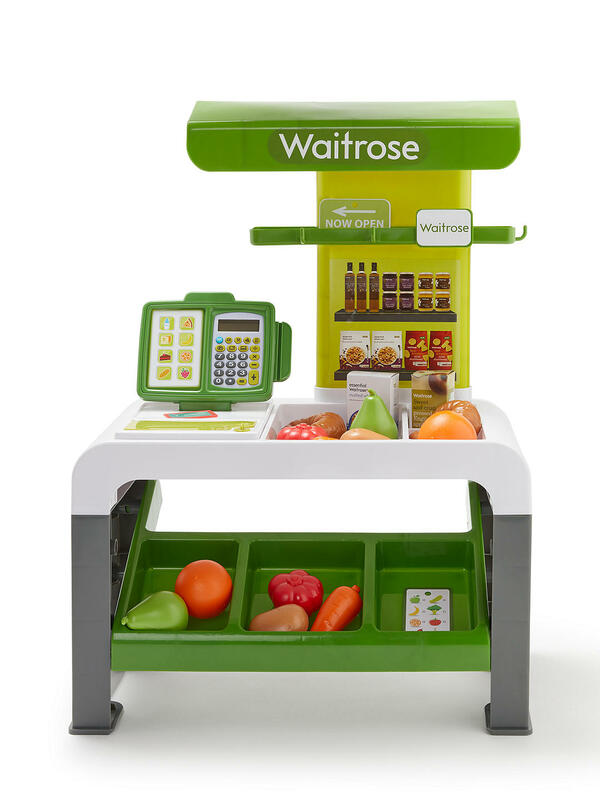 If your kid needs a storage spot for their Waitrose weekly shop, or you would like their inner-chef to run wild then look no further than the Mini John Lewis Kitchen. This is great for your budding cook to get to grips with a kitchen and allows their creativity boil over! 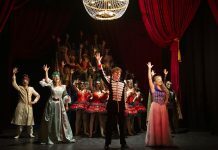 A marvellous dinner awaits you… if you can make believe, that is! The delightful kitchen leaves us a little jealous, we want a space this stylish! 8. LEGO DUPLO 10875 Cargo Train – (Exclusive to John Lewis & Partners). Of course there is another LEGO item featured, it wouldn’t be the season to be jolly otherwise! This one is for the younger builder. The cargo train is ideal for a toddler to get to grips with, developing highly valuable motor skills along the way. A true achievement for a little one and a great way for parents to get involved with play-time, offering an extra pair of helping hands. Additional pieces such as cranes, a boat, a harbour and café provide a scenic display. This one may even keep them quiet for a little while! 9. GraviTrax 27597 Starter Set. Do you have a keen scientist in the family? If so, this is the one for them. 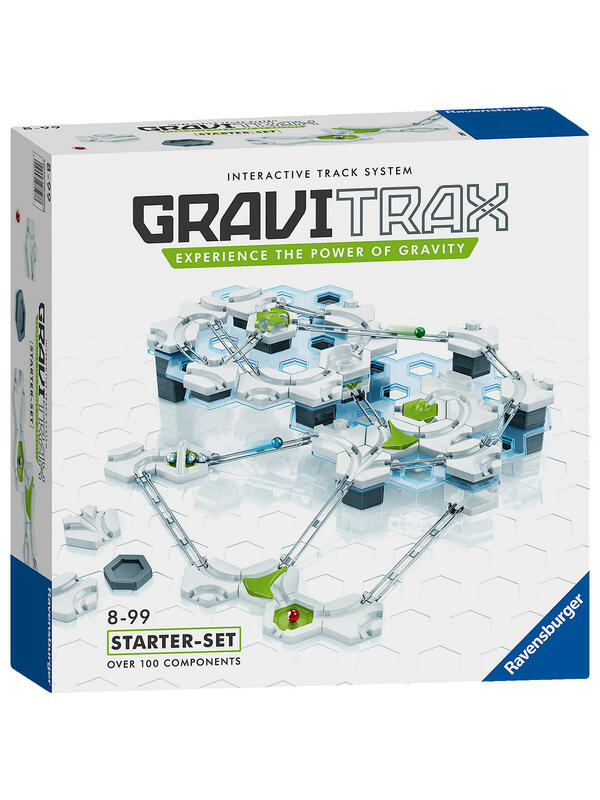 Science, tech, engineering and mathematical talent is challenged when using the GraviTrax. The interactive track system has 100 elements included which allows children to create their own routes or follow the provided blue prints to ensure the gravity spheres reach the target. Endless experiments can be undertaken with this toy, with extra packs available too. 10. Tech Will Save Us Creative Coder Kit. The best of both worlds- get your kids moving and coding with the same kit! 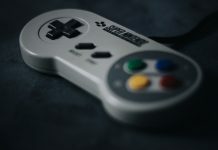 The idea is for the user to create code in order to program the toy to react to movement, lighting up in response to dancing, running and jumping. 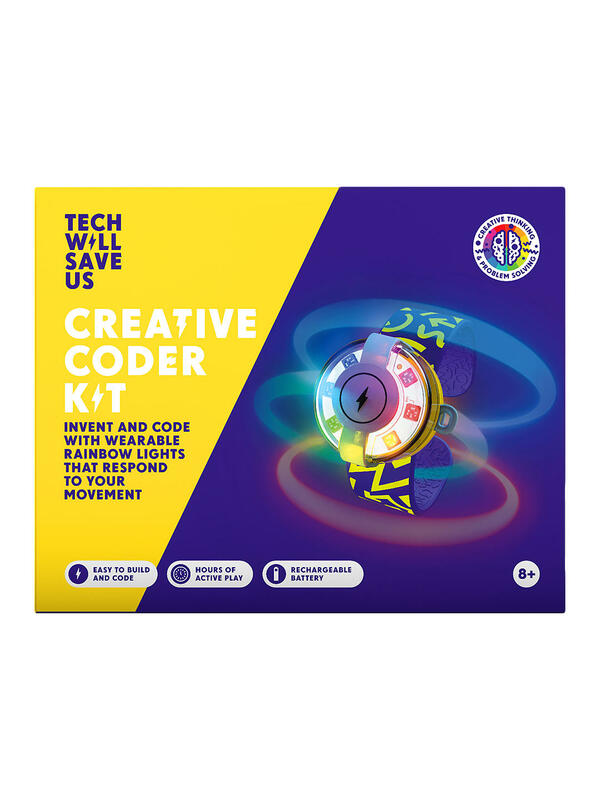 This Coder Kit provides a non-threatening introduction to technology for children and is ideal equipment for developing creative skills too. 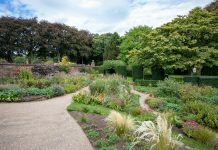 The gadget can be used with a free online platform where hundreds of projects are available to explore.